Found 7 file extension associations related to Opera Mini for iOS and 3 file formats developed specifically for use with Opera Mini for iOS. We strive to give our users the best mobile web browsing experience, no matter what device they use or where they are in the world. 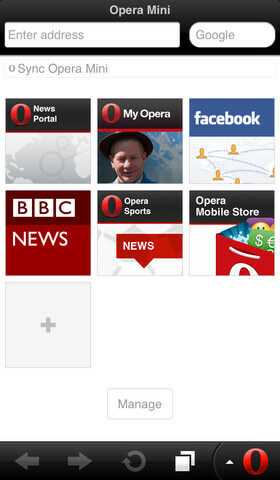 We are looking into any local issues that may be interrupting Opera Mini availability in Saudi Arabia. Keep Opera Mini handy on your iOS device, especially for those unavoidable times you are on a slow crowded network, away from Wi-Fi or when data roaming. Opera's powerful servers compress data by up to 90% before downloading, so page loads are lightning fast.Opera Mini is popular web browser for mobile platforms. If you need more information please contact the developers of Opera Mini for iOS (Opera Software ASA), or check out their product website.